As a young, aspiring musician, I was never confident about what I had to offer and always tried to perform like someone else. From experience I can tell you that trying to be like someone else just doesn’t work. Feelings of frustration and inadequacy began to build which only fed my already low self-esteem. It wasn’t until I began directing a praise and worship band that I realized the importance of our individual gifts and how those gifts needed to work together to make the band complete. I have been very blessed to have Christian friends, some who are accomplished musicians, who recognize my gifts and are willing to help me develop them. As a result of that nurturing, my self-confidence grew as did my level of skill, and I became more comfortable using my gifts according to the grace God gave me. Of course, I’m always eager to learn new things, but only to the extent that God leads me. In his letter to the Romans, Paul is very clear that we should “use our gifts according to the grace given to each of us” (Romans 12:6). Simply put, God wants us to be who He made us to be, not who we try to be. As a music worship leader I learned two very important lessons. The first was to develop the gifts God gave me and not try to create something else within me that God didn’t put there; the second was to encourage others to do the same thing. So often I hear others say they wish they had musical talent. Friends, music isn’t the only gift God gives us. 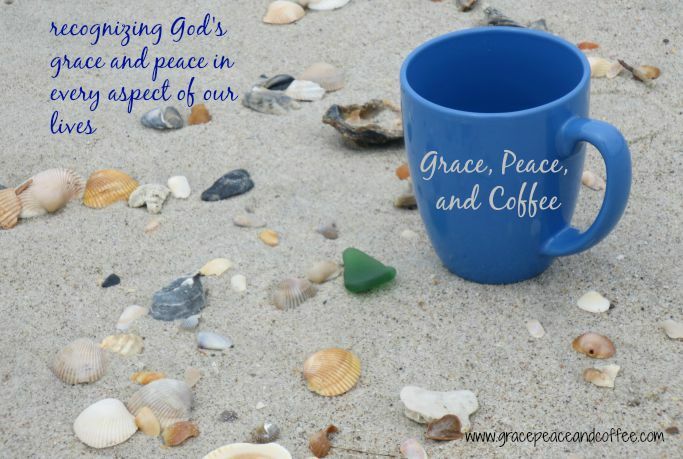 It takes prayer and discernment to know what our gift – or gifts are. Do not believe that you have nothing to offer. And especially, do not allow yourself to feel jealous of another’s gift. I remember years ago in middle school the girls were required to take home economics and the boys were required to take wood shop. In home economics class I learned that cooking and sewing were not my gifts. Likewise, my sister made a gallant attempt at learning to play a musical instrument. She discovered that creating music was not her thing. However, when put in front of a sewing machine, she could whip up the most beautiful clothes in no time! Today she is an incredible cook and decorative tile artist. God made us unique for a reason. Just as each of us has one body with many members, and these members do not all have the same function, so in Christ we, who are many form one body, and each member belongs to all the others…If a man’s gift is prophesying, let him use it in proportion to his faith. If it is serving, let him serve; if it is teaching, let him teach; if it is encouraging, let him encourage; if it is contributing to the needs of others, let him give generously; if it is leadership let him govern diligently; if it is showing mercy, let him do it cheerfully. (Romans 12:4-8). 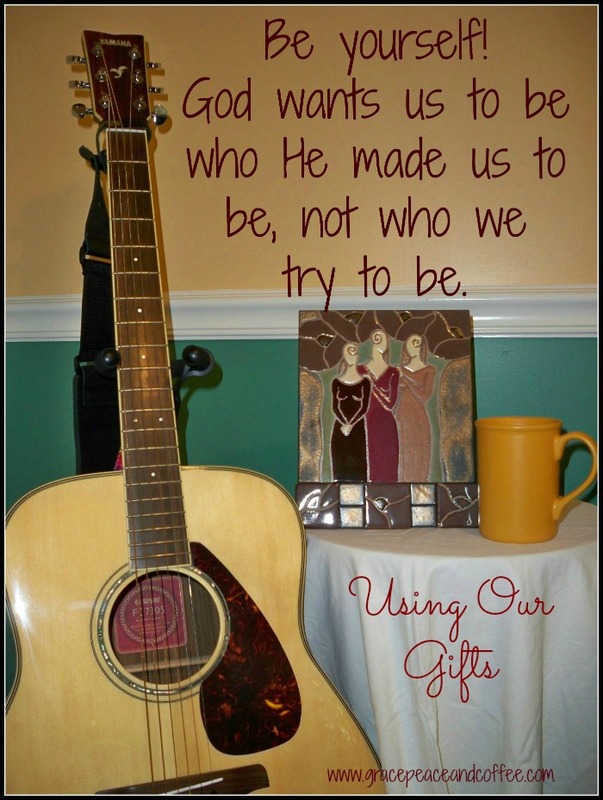 God gave each of us a gift – the greatest one being the gift of His grace, which allows us to be who we are in Christ. Just think, if God made all of us the same, what a boring world we would live in!